Quick & Easy Sale Today – Cash In Hand! or use the form below to get a cash quote callback. How much cash will i get for my scrap car? – We pay between $350 and $11,000 for any broken cars, vans, utes & Trucks. – Conditions Apply. We offer the top cash prices for vehicles in Auckland. To find out how much cash you can get for your car, give us a call on 0800 99 55 99 or use the form to request a callback. Get up to $11,000 cash for your vehicle! Find out how much cash you can get for your vehicle now from Car Removal. If you are looking around to see who can offer you the best cash for cars, then look no further than us. We are the best removal company in the region, and we make sure that we offer the best cash for scrap cars in Auckland along with free car removal in Auckland and beyond so you don’t need to hunt around and search for car wreckers. Contact us today by calling 0800 99 55 99 or use our online vehicle quotation system by clicking on our Removal quotes form here. We are the best auto wreckers, offering the best rates of cash for your car and truck removal services. You don’t need to pay to have your vehicle taken away! We are generally able to provide a same-day service and we can arrange pickup for a time that suits you. You can book a pickup for your car by calling 0800 99 55 99 or using the form above. We deliver the very best cash for cars services, and services across Auckland, Waikato, and Northland. We are proud to offer free truck removal and removal of any car, in any condition and no cost to yourself whatsoever. All we require is your consent to remove the vehicle, along with proof of your ownership. We have a large fleet of trucks across the region and can often arrive with you within 24 hours. Cash will be given to you at the same time that we remove your vehicle for free, making us one of the best car wreckers companies in the region. If you would like free service, that will take your old car or truck and remove it for free and give you cash for your car at the same time. Contact us today by phone 0800 99 55 99, or by using the contact form on our website to find out how much cash for your car we can give you today. Does the car have to be running? Whether your car is road-legal and running well or if it’s deregistered, collision damaged or rusted through – We’ll pay you cash and offer our free removal service. Book a pickup and get a cash quote for your car by calling 0800 99 55 99 or using the form above. At Car Removal, we buy cars for cash regardless of their condition, age or type. Offering free services that will arrive promptly at your location and remove your car for free, giving you the best cash for your old car. We buy cars even if they don’t start, or have valid wof. If you want cash for your old vehicle, whatever the age or condition, We will ensure that you are given the best price for your removal. We will also go out of our way to help you with any paperwork, along with answering any questions you may have regarding the change of ownership or scrap process. We boast a friendly, professional team that is dedicated to making your experience with Car Removal hassle-free and efficient. In most cases, we can come out to your location and offer a free service, along with cash for your car on the very same day. To have your vehicle removed today simply call 0800 99 55 99. One of our professionals will give you an instant quotation on your vehicle, and you can get it booked in straight away. Do you service all of Auckland? From Central Auckland – South to Pukekohe, North to Whangaparaoa and all the way West to Waitakere and Piha – we service all of the Auckland region. Our drivers are on the road From Monday to Saturday and be there within 90 minutes to buy your car. Give us a call on 0800 99 55 99 or use the form above to book a pickup. Car Removal services all the inner and outer regions of Auckland, Waikato, Bay of Plenty and Northland. We have paid up to $11,000 for car wrecking services in the past, and depending on your scrap vehicle, we might be able to make you an offer you can’t refuse! We make it easy for you to deal with our team who are available to offer you advice or guidance if you are looking to get cash for your car. Our large fleet of tow trucks is operational on a daily basis on the roads of North Island. We always deliver a friendly, professional service, on top of which; we guarantee to give you the best rates of cash for your old car. We will pay cash upon collection, and our drivers are always fully equipped to remove any vehicle. Simply call our professionals today on 0800 99 55 99 or you can use the contact page for an online inquiry. Find out with ease how much cash for your car you can get today. Call us free on 0800 99 55 99 and speak with one of our friendly car removal team. Pickup driver will come to see your vehicle. We have more than 10 tow trucks driving around Auckland daily, so it will take only up-to an hour. After inspection and ownership confirmation, you will receive cash in hand for whatever your vehicle is worth. Your vehicle will get towed straight away with no addition cost. Our truck drivers are well trained to handle their tasks appropriately. We needed to sell our Toyota Corolla after it got hit by another car. It wasn’t driveable and we just wanted it gone from the driveway. We chose NCP because they offered a reasonable price and were able to pick it up quickly. We’re very happy with the price we got for our car and would recommend the National Car Parts team to anyone wanting an easy sale. What car makes and models do you buy? We buy all makes and models of cars – including Japanese, European and American vehicles. The list of car brands below are some of the most common in New Zealand and the brands that we buy the most of. 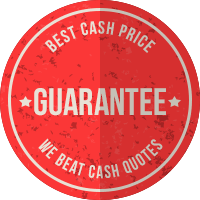 Here at Car Removal, we fully understand that you want to get the most cash for your old vehicle, so we aim to offer the best cash quotes across North Island, as well as a friendly, efficient and professional service. Get top cash for cars today!